Boss Fight Well PlayED Pod! Recently I have been experimenting with Boss Fights in the classroom. 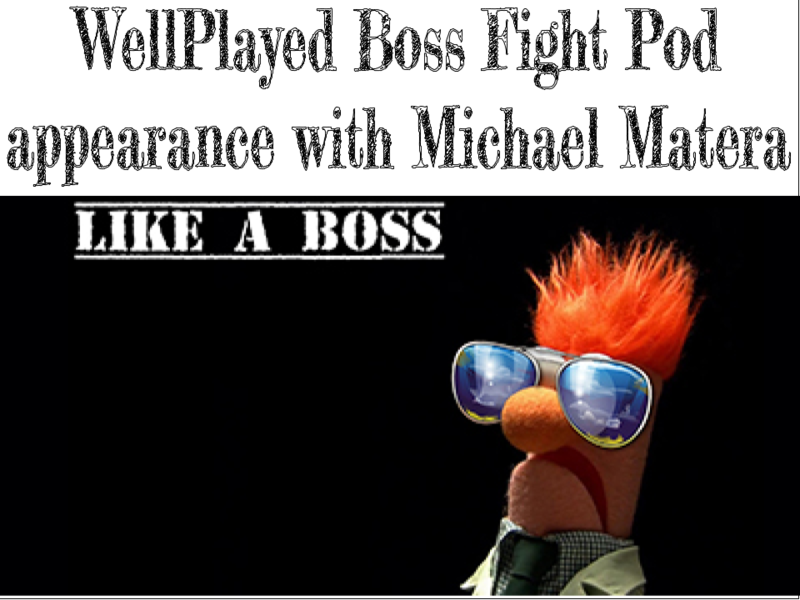 Michael Matera and I discussed our individual Boss Fight games on this weeks Well Played Podcast. I walked away from this discussion full of new ideas that I am working into my current model and hope that all the Well Played listeners were inspired to try something new as well. The links below are to the Well Played pod and my Dreadsheets post. Look for an updated boss fighting system after the new year! Well Played Podcast – Boss Fights Bumping! Previous Top Posts of 2017!